This could be me in March. 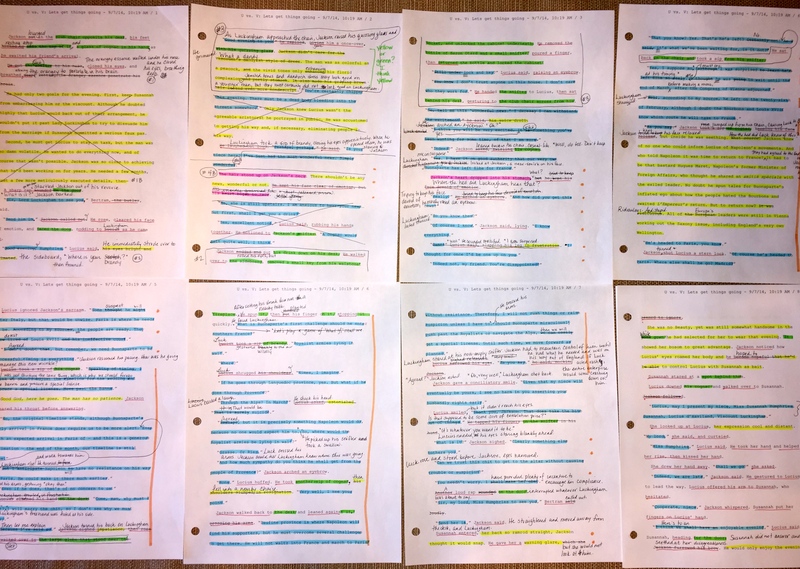 There I was, just whistling down the primrose path, working through the problems in my manuscript that I’d identified during a Revision Sprint class and the subsequent weeks of revision. I didn’t mean to do it. Really, I didn’t think it would happen! But as I updated the final scene sequence of novel 1 of my Victorian Romance series, the next to last step (last step being read-through/proofreading) before sending it to a content editor, I realized it had happened. I am in love with my story. Now, being in love with your story in and of itself is not a bad thing. In fact, during the long, dark days that try writers’ souls, sometimes the only thing that keeps us going is our love for our stupid, ugly, misshapen mess of a (kind of, sort of, almost) story. But to spin the story mess into gold, at some point most writers will want input from other smart people, fresh eyes on the story to catch what we who are too close to it just can’t see. Those other people might be individual critique partners, members of a critique group, or a content editor (as ladies Jeanne and Jilly). A pretty heaving editing job on one of my scenes. Take a look at that image to the left. Go ahead…click on it. Make it BIG. I’ll wait. 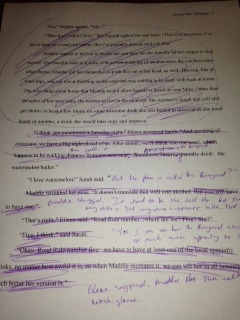 A few days ago, Justine wrote about revising her first draft. While she discussed her propensity to procrastinate regarding this daunting task, she has a handle on what she needs to fix. She has even divided her ‘to be fixed’ list into categories by the length of time and effort she expects to spend on each aspect. That is the beginning of a very good plan. It’s also a step (or twenty) ahead of my revision efforts. You see, I haven’t even identified the problems in my first draft. But I have a plan to get there. Last week, I wrote this post about finding out that Act II of my WIP had gotten away from me and ended up at 41k words, about 8k-10k more words than my target for the act. The length of acts is important for pacing, tension, and keeping the story moving. The prospect of cutting a quarter of the words out of this one before handing it in for a critique seemed daunting.